We had the chance to attend the Gilbarco Veeder-Root 2017 Retail Technology Conference last week in Myrtle Beach. The main theme of the conference centered around technology, security, marketing and innovation. 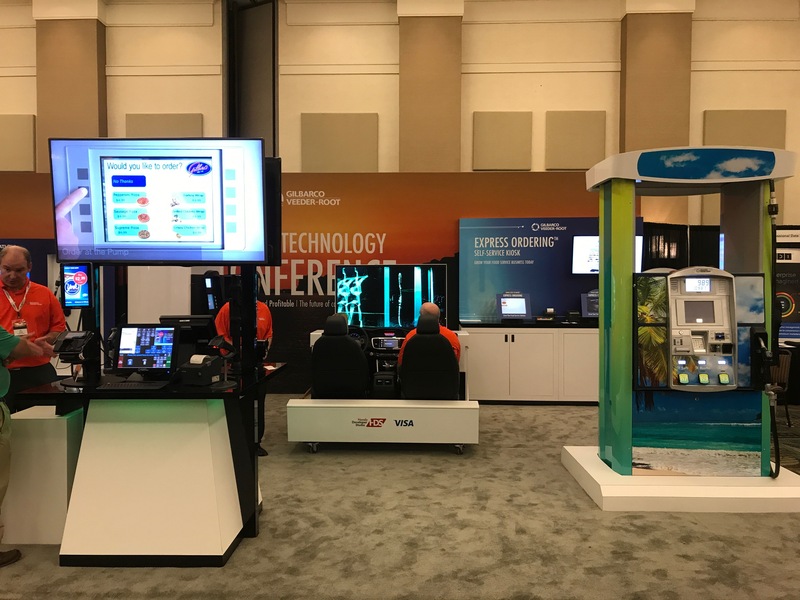 The four-day conference had many presentations and demos focusing on various topics related to security, connectivity and future of fuel retailing showcasing how new technology will help you save time and bolster revenues for your business. Among the many topics covered were "the Cloud", "EMV Security" "Marketing to Millennials" and the "Connected Car" and how to increase profits through the use of technology. Security and Technology are the keys to success. How to detect and protect against fraud from eating into your margins. We are all seeing more and more connected devices through the internet of things. Soon the internet of things will allow you to stay in your car all while fueling up, ordering food and paying for it all at once. In conclusion all of these topics discussed how evolving technologies and shifting demographics will effect customer behavior. We live in a highly connected world which is becoming more and more connected everyday. Smartphone technology and cloud based services for data management has advanced to the point where it behooves a business owner to invest in technology to reduce costs and increase efficiencies and profits. Gilbarco Veeder-Root Inc. a worldwide technology provider for retail and commercial fueling operations, is located in Greensboro, N.C.